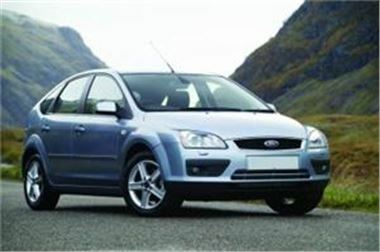 Motorists in the UK can get behind the wheel of a new Ford Focus from this week. The Focus ST comes with the traditional 225 PS 2.5-litre five-cylinder Duratec typically found in the car, as well as the Ford Power starter button and the Easyfuel capless refuelling system. Upgraded instrumentation, sports styling and body-hugging Recaro seats also feature, as do 18-inch five-spoke alloy wheels. Ford stated that while it has changed some aspects of the model, a number remain the same. "The 2008 Focus ST benefits from the new exterior and interior styling changes introduced across the rest of the Focus line-up earlier this year ... [But] the car's well-honed dynamics remain untouched," commented the company. Ford has been producing the Ford since 1998. It released a new version in Europe in January 2005 and followed that with an upgraded model early this year.